I know I do. And I've been loving the Scrabble tile decorations that I've seen floating around bloggyland. My mother-in-law and mom have been/will be visiting and I wanted to make them a simple diaper bag for their visit. Something they could throw a cup and diapers in and take the kids out while they're here. 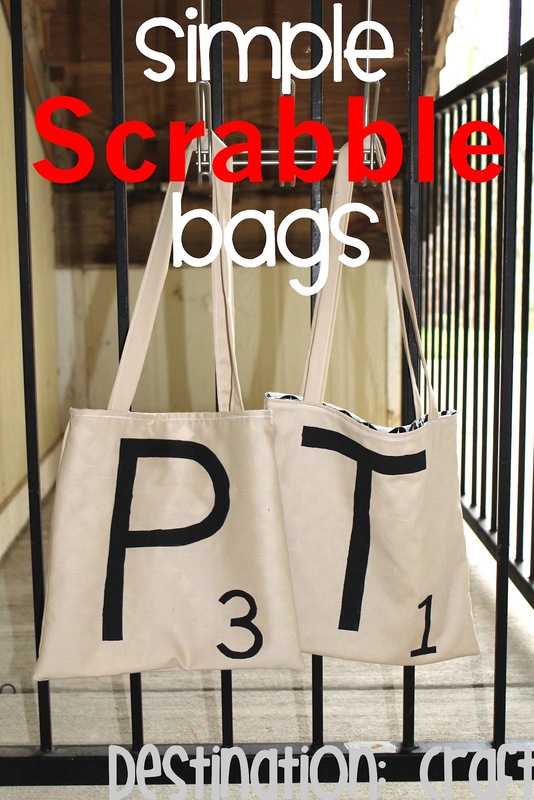 I came up with these Simple Scrabble bags! 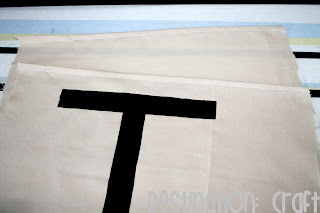 The bags are cute, so hopefully they'll want to use them after they leave for home, too :) I used the first letter of their first names for the bags. 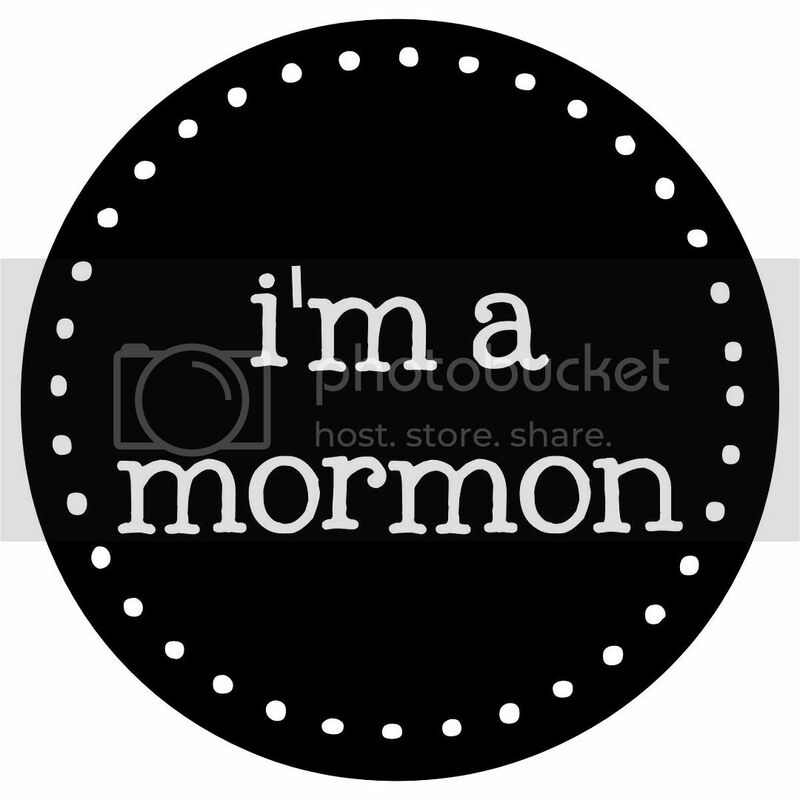 Wanna make one? Here we go! 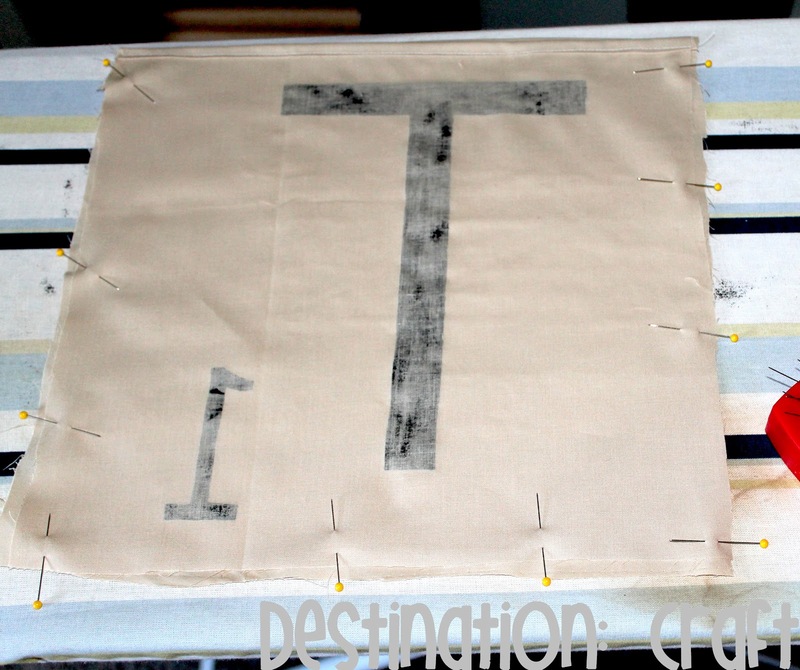 I used THIS tutorial on how to paint the Scrabble tile onto the fabric. I started with the handles. 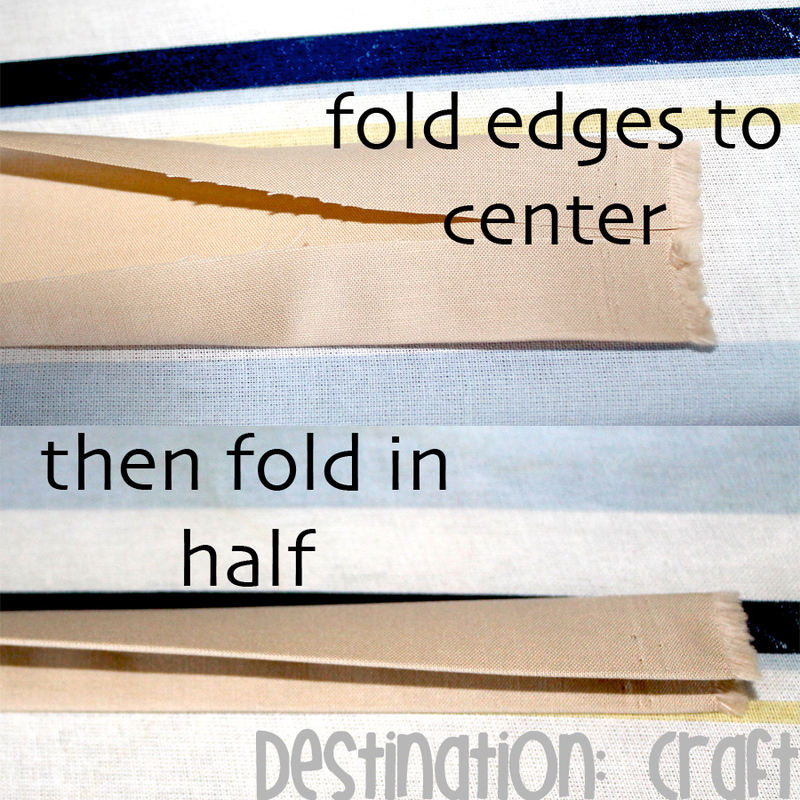 I ironed the edges into the center and then folded it in half again and ironed. Then I sewed down the open side. 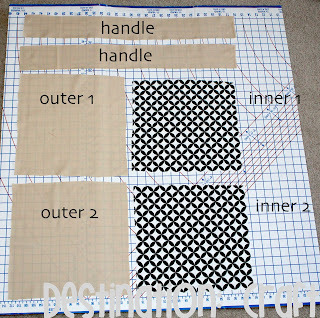 Do this for both handle pieces. 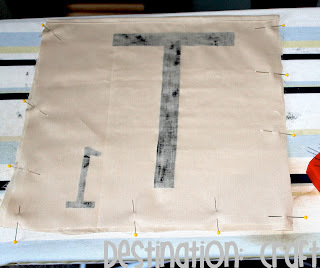 Use the tutorial to paint your fabric & allow time for it to dry. 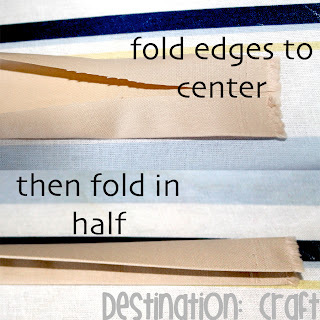 Once it's completely dry, fold over the top 1/2 inch and then another 1/2 inch. Sew down. 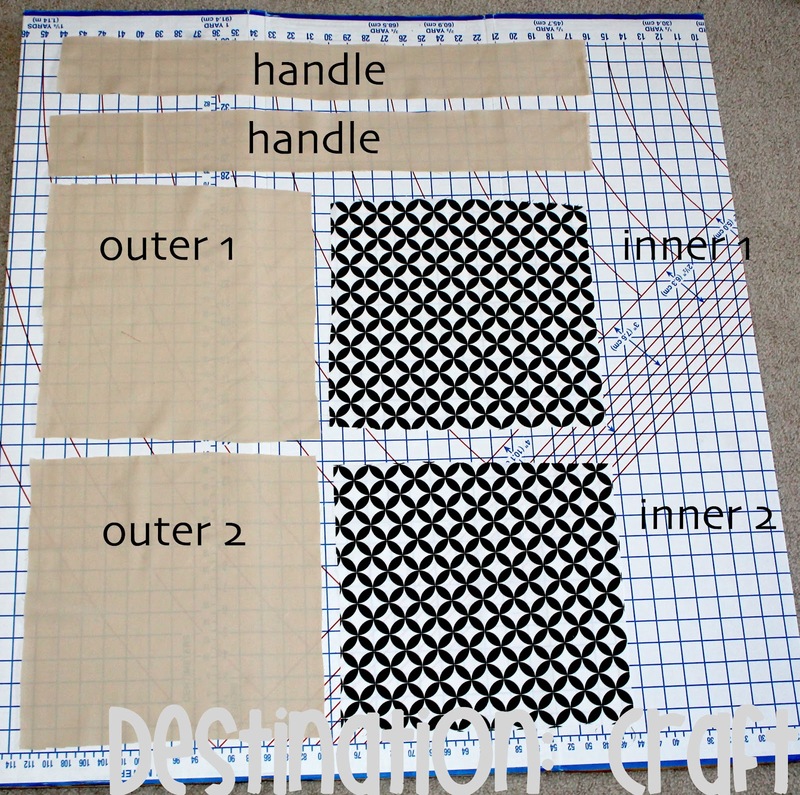 Do this for both outer pieces. 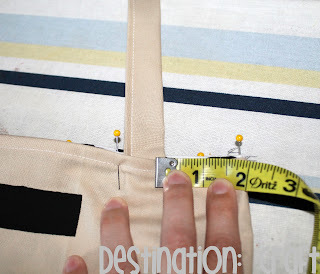 Pin the sides and bottoms together and sew together. Make sure you don't sew that top together! So the same thing for the inner portions. Once your inner portions are put together, slip it into the outer portion and pin the tops together. Make sure the wrong sides are facing each other. Don't sew the tops together yet! Slid the handles in between the outer and inner portions. You'll want to measure so that they're the same distance apart. Pin them in place. NOW you can sew the tops together. And there ya have it! 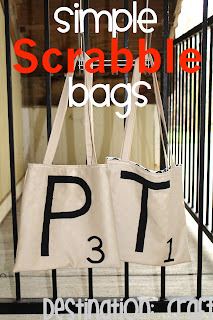 Super cute Simple Scrabble bags! I really like the inside fabric! Really cute! I agree, I love the inside fabric! What a fun idea. 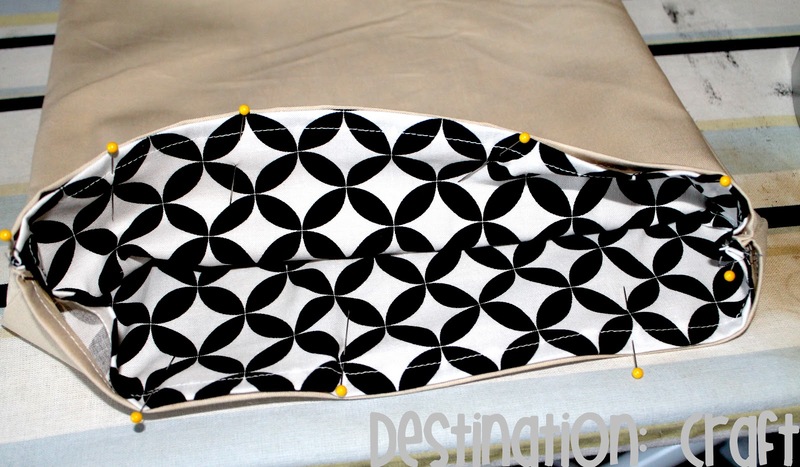 YES, that lining is fabulous!! Haven't seen anything like it in the stores. You can't have too many bags when you have little ones that's for sure! Super cute bags! 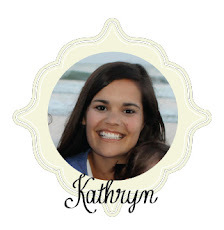 I awarded you the Lovely Blogger award! Go check it out! :) Have a great week! Those bags are gorgeous! I've seen scrabble-style cushions before but not bags. Awesome idea! Absolutely adorable!! 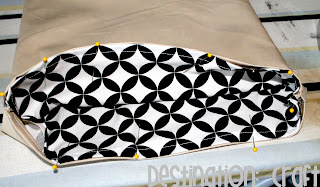 LOVE the interior fabric as well. Great idea! I'm featuring you tomorrow. Thanks for linking up! Fell in love with this post quite some time ago and decided to feature it in my friday favorites post! Hope you don't mind:) Check it out if you wish! 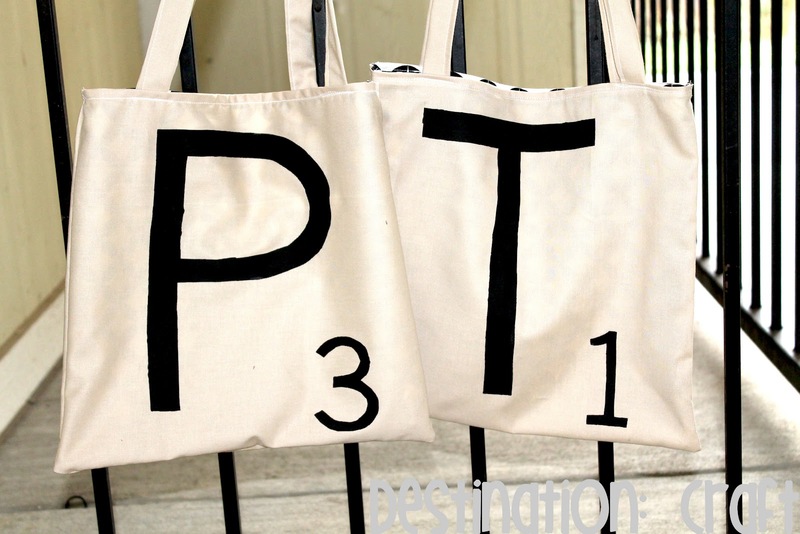 I love scrabble and I love this idea! It makes me smile ... instantly! Cute and a nice addition to ready made blank bags too. I love the fabric on the inside! Great job! Very cute! 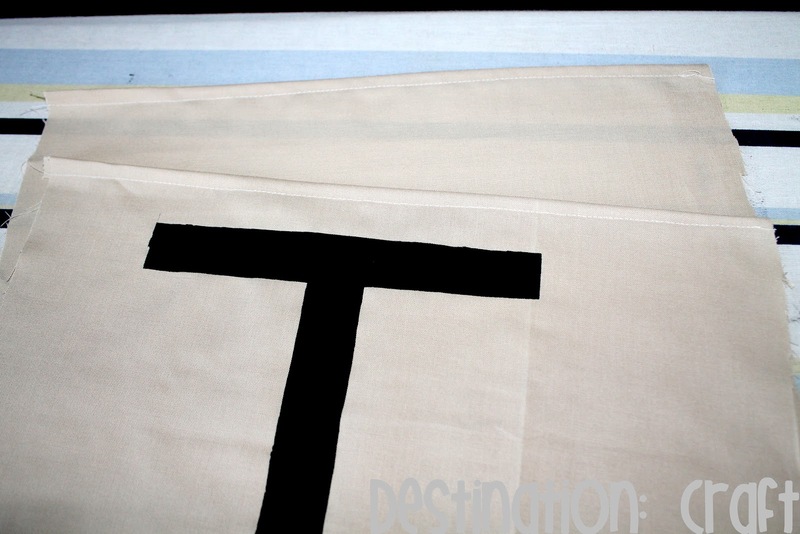 And I love the fabric inside!